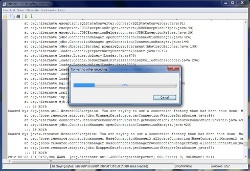 Jalatext is a utility that aims to open very large text files. This program was designed for viewing large (>1GB) text files. You will not feel frustrated anymore when you just want to look at the content of a large text file but it takes forever for Notepad or your favourite text editor. Just use Jalatext! You should use the right tool for each situation: Jalatext is the tool for viewing and editing large text files. Jalatext quickly show and edits files of unlimited size, even 100+ Gigabytes! You can use Jalatext as a large text file viewer. Also, it has editor features. 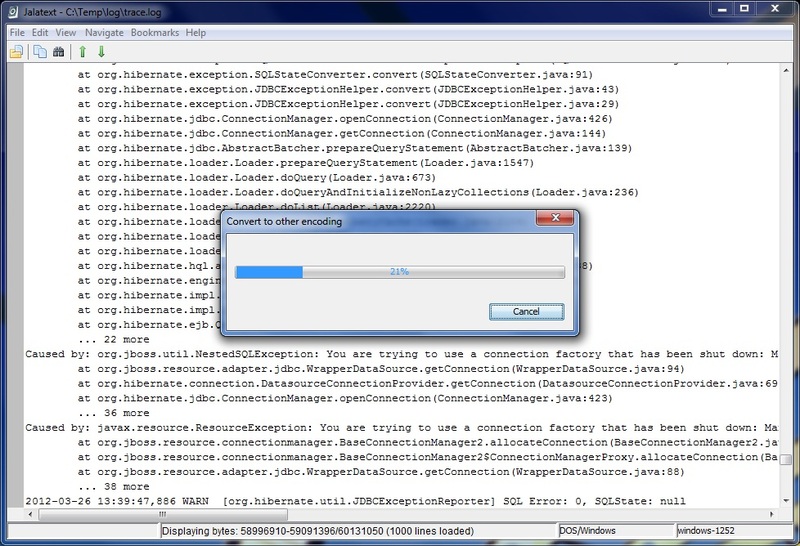 It is optimized for very huge files, so the UI never get frozen: the application is always responsive! 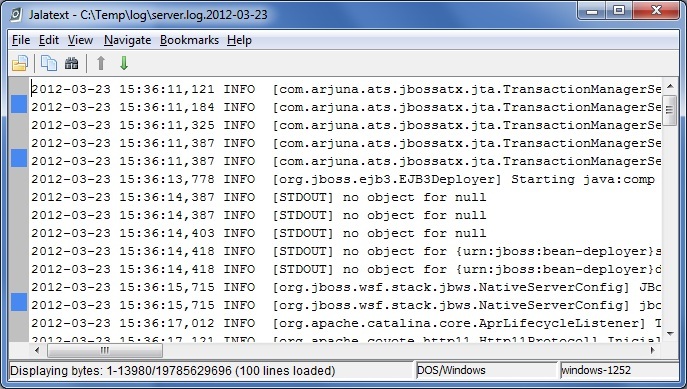 You can find text in a big log file easily. Open files of any size instantly. A file size of 100 GB are not a problem anymore! Open UTF-8 or unicode file, among other files written in other charsets. Find and replace using regular expressions. And much more. Big files won't be a problem anymore. See the main features to know why Jalatext is right for you. Merry Christmas!! Get Jalatext with 60% Off price! Valid until Jan 5th, 2015. Get it now!. Jalatext 1.5.2 is available to download. It is a bug fix release. Download it now! Or review the changes of this version. Jalatext 1.5.1 has been released. Contains minor enhancements and resolves some bugs fixes. Download it now! Or review the new features. © 2012-2014 Carles Royan Salvatella. All Rights Reserved. Java is a trademark of Oracle, Inc.